What Will Your Next Smartphone Be? 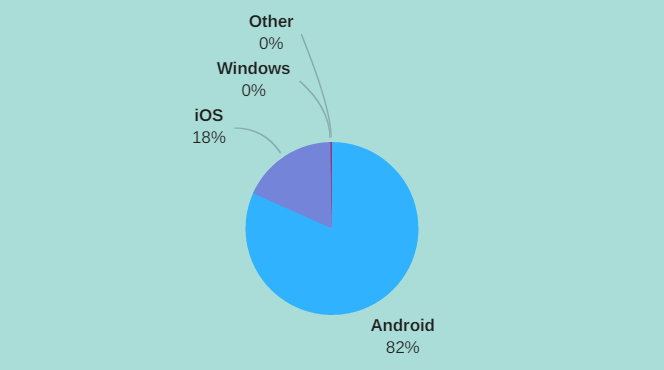 Android leads the pack in consumer and business sales. 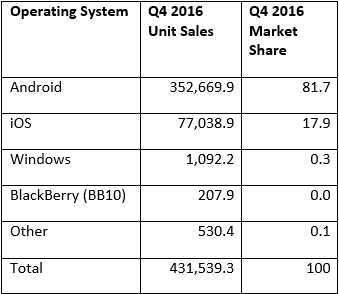 Compared to the same time in 2015, Android has gained a percentage point largely at the expense of BlackBerry and Windows Phone. Apple has been relatively stable. BlackBerry (BB10) is almost off the charts now tracking lower than Windows Phone with a percentage of 0.0481. This is down from 0.2% of market share a year earlier. This means that it really is a two horse race at the moment in the mobile phone marketplace: Android or iOS. For security reasons, our choice would be to first go with iOS, then with BlackBerry on Android and then Android, the latter being the least secure ecosystem of the bunch. Our recent experiences with BlackBerry Enterprise Servers have also been quite negative. With the acquisition of Good Technology and the discontinuance of BlackBerry licenses for the BES server in favour of Good Technology licenses, the result has been an installation nightmare. We spent 7 hours with BlackBerry’s own technical support and were unable to resolve this issue. I suspect that whatever BES licenses are out there now will largely be gone within a year. 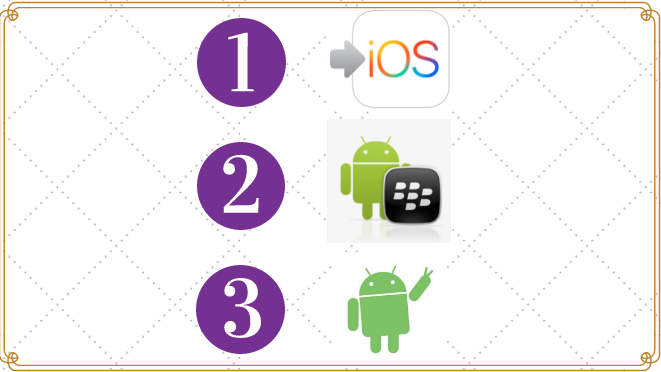 It will be interesting to see if BlackBerry is able to recapture market share with its Android phone models. Unfortunately the data provided by Gartner did not break down the Android models by manufacturer. Charles Bennett is the Principal Consultant of Triella, a technology consulting company specializing in providing technology assessments, consulting, maintenance services and CIO-related services to small and medium sized firms. Charles can be reached at cbennett@triella.com or 647.426.1004 x 222. For additional articles, please visit https://www.triella.com/publications. Triella is a BlackBerry Alliance Partner and Authorized Worldox Reseller. © 2017 by Triella Corp. All rights reserved. Reproduction with credit is permitted.